Why do we want to process your personal data? Which personal data do we process for you and for what purposes? In this case we are talking about you as a (future) customer of our company, as a beneficiary, another person involved with us or a person at another organisation that is in contact with us. You can also find out about your rights and how to exercise them. If you would like more information about privacy legislation in Belgium, you can go to the website www.gegevensbeschermingsautoriteit.be. Via the link http://eur-lex.europa.eu/legal-content/NL/TXT/PDF/?uri=CELEX:32016R0679&from=NL you can refer to the complete European regulation on the protection of your personal data. 1.2 Who processes your data? Who are we? which has its registered office at 12 Muizelstraat in 8560 Moorsele. Boplan Industries BVBA is a group of companies that works closely together to deliver their products to you and that targets companies. The aforementioned companies are jointly responsible for the processing of your personal data, whereby Boplan Industries BVBA is ultimately responsible for the processing of your personal data and is, therefore, also your point of contact. When we refer in this policy to “We”, “Our”, “name of the group”, we clearly refer to the group of companies set out above. 1.3. How can you reach us? You have a lot of rights in the processing your personal data. If Boplan Industries BVBA requests your consent, you can always revoke that consent. The execution of your rights in our systems and procedures will take place no later than 30 days after we have received your application. If for some reason this deadline can not be met, we will inform you before the expiry of the original period. You have the right to inspect the personal data we process about you, the purpose of the processing, where we have retrieved the data from and who receives the data. In this case, you can also find out how long we intend to keep the data, whether the data is used for automatic decision-making and whether we intend to send data to a country outside the European Union. You can make this request free of charge twice per year with a minimum period of 6 months between the two applications. In all other cases, this application is considered to be exaggerated and a hindrance and Boplan Industries BVBA can charge an amount of €250 per request. We will provide you with the requested information in writing or electronically within a reasonable period of time. It is possible that the data we process from you is not (no longer) correct. You can always ask for the incorrect data to be corrected or supplemented with the missing data. If you think that we are processing the personal data unlawfully, you can ask for this personal data to be erased. This request for the deletion of your personal data may be refused by Boplan Industries BVBA, if this is justified. Examples are the exercise or substantiation of a legal claim or because of a statutory obligation to retain certain data. You can ask us to limit the processing of your personal data if you suspect that the data is incorrect, the processing is unlawful or if you do not agree that we are processing the data under our legitimate interest (see article 3.3). We will agree to this opposition unless there are compelling reasons not to do so, for example to prevent fraud, payment defaults. You have the right to object to the processing of your personal data, including profiling. Processing is then stopped, unless processing is necessary for compliance with social and fiscal legislation, to represent the interests of the employer or a third party or with a view to the establishment, exercise or substantiation of a legal claim. You can ask us to transfer the personal information that you have given to us to a third party. If you do not agree with our position, you can contact the Belgian Data Protection Authority. You can also lodge a complaint there. You can find the contact details above in 1.4. Always be as specific as possible if you wish to exercise your rights. In this way we can correctly execute your application. To prevent someone else from exercising your rights, we will want to verify your identity as thoroughly as possible. Hence, the application always must be accompanied by a document showing that the identity of the applicant matches your identity. This can be done by adding a copy of your identity card to the application. When doing so, black out your passport photo and identity card number (or use a similar process), to protect your privacy. Where we consider the document delivered to be insufficient, we shall inform you. We reserve the right not to respond to the request until sufficient proof of identity is provided. the possibility exists that we are required to provide personal information to authorities or other third parties. For example, if this is necessary in connection with a statutory obligation or for the performance of a task of public interest. As a customer with us, you call on our services or purchase our products. In order to guarantee the proper execution of our agreement, we must process and manage these contracts administratively, fiscally and operationally. This also applies if you are supplier for Boplan Industries BVBA. We also need to respect the terms of the contract and process and manage the vendor contracts administratively, fiscally and operationally. 3.3. 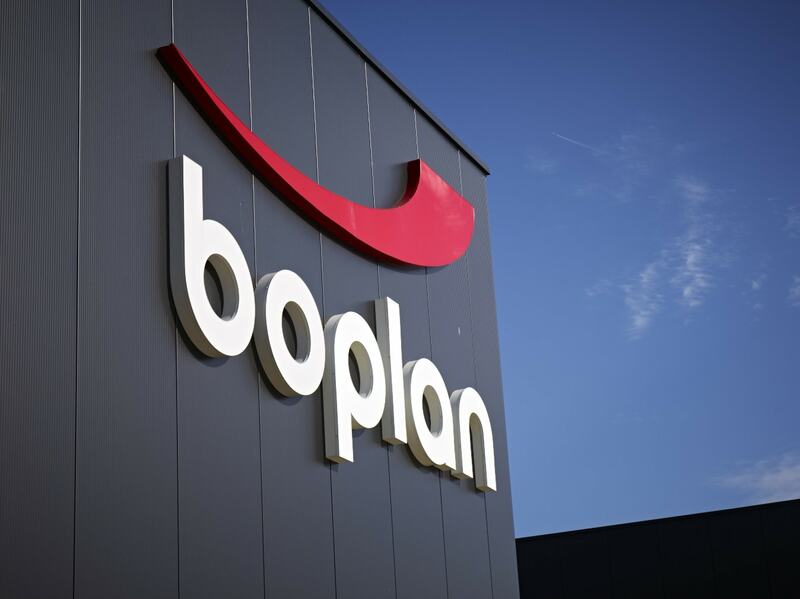 Boplan Industries BVBA must be able to function as a company with regards to direct marketing and communication. As a commercial company, we have a number of legitimate interests that are the basis for the processing of personal data. We also ensure that there is a good balance between your right to privacy and the legitimate interests of Boplan Industries BVBA. If you still have objections against the processing operations on this basis, you can appeal against it. Boplan Industries BVBA wishes to continue communicating with you, as an existing customer or active prospect, via direct marketing. This can be done on your specific request or we can suspect that you are interested in our new products/services. As we seek to continue to offer you a better service and better products and want to communicate this to you, we will process your personal data for direct marketing under the legitimate interest of conducting our business. This information can reach you in various ways, namely by e-mail, by mail, by telephone and at events. We choose the most suitable channel that disturbs you as little as possible. If you do not wish to receive our commercial communications, you can simply let us know and we will no longer bother you. You can do this for all our communications or for one of the various channels. The companies within Boplan Industries BVBA are strongly connected to each other and exchange personal data within the context of their relationship. This processing also falls under our legitimate interest to conduct business. 4. Which personal data do we process for you and for what purposes? We process your personal data, which you wish to share with us, among other things, in the questions you ask via our contact form on the website, your subscription to our newsletter, by providing your business card at trade shows, events, during site visits and contact with our representatives at other times and by downloading our brochures and catalogue. Our business relationships are with our customers and suppliers. Boplan Industries BVBA processes the personal data of those persons concerned who work for companies with which we conduct business. The aim of this processing is to provide information about products and services and to maintain business relations. To contact you and to identify you, for our customer and supplier management we process the following data: surname, first name, address, gender, date of birth, nationality, telephone number, mobile phone number, language, e-mail address, IP address, VAT number and financial data. To serve you better as a partner in our business relationship: purchases from us, your potential interests in our products/services, hobbies, interests, comments and complaints from the past. Our potential new customers have interest in our products and services. Boplan Industries BVBA wishes to keep them informed of these products and services. To communicate with them, we process the following personal data: surname, first name, phone and/or mobile phone number, email address, IP address, language. 5.1. Who do we share this personal data with? We only share your data with persons who have received our express permission and if they need this information to perform their tasks. These persons will process your data on the same basis as we have received from you. We use various processors to process personal data. These are our subcontractors who process personal data on assignment from us. Boplan Industries BVBA only works with processors that guarantee the same security measures on a technical and operational level. We will only share your data if we are obliged to do so by law or government order. Boplan Industries BVBA is an international group, active in the EEA (European Economic Area) and in the United States. The subcontractors who process personal data on our behalf may be located in the EEA. We may be subject to review by courts or supervisory authorities in different jurisdictions. For these reasons, your personal data may be transferred to other countries within and outside of the EEA. Since privacy laws in other countries may differ from those in your own country, we only make arrangements to transfer data to another country, if we are sure that there are sufficient security levels to protect information in that country or that our subcontractor is acting in accordance with the applicable privacy legislation. Where this is required based on the applicable law, we will take measures to ensure that the personal information processed in other countries has at least have the same level of protection as in your own country, for example by entering into contracts with the standard contractual clauses approved by the European Commission. By providing us with your personal data, you expressly agree to the transfer of your data to countries or jurisdictions that may not offer the same level of data protection as your own country, including but not limited to countries or jurisdictions outside the EEA. Boplan Industries BVBA uses your personal data with a clear goal in mind. When this goal is achieved, the data is deleted. The starting point for keeping your personal data is the legal retention period. We store the personal data of our potential new customers, the prospects, initially for 10 years. Should there have been a contact in this period between the prospect and Boplan Industries BVBA, this period starts again from this contact for a period of 10 years. We initially store the personal data of existing customers, suppliers, subcontractors, etc. for 10 years. If there has been a new contact during this period, the period of 10 years will start again from this contact.